Looking for a sweet way to show your gratitude? 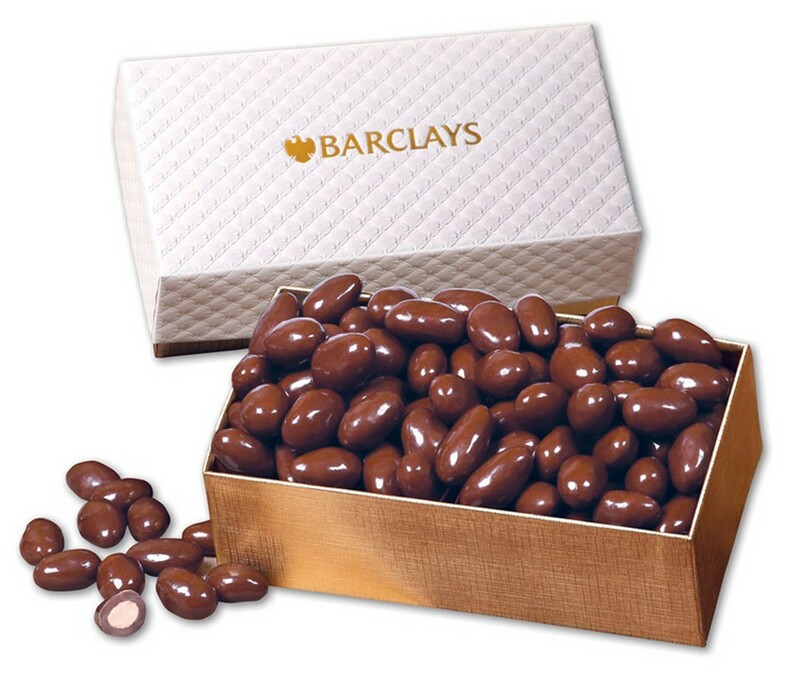 You've found the ultimate reward with a Chocolate Covered Almonds in White Pillow-Top Gift Box. These Chocolate Almonds are made with real cocoa. By combining premium chocolate with California almonds that are high in fiber and loaded with vitamin E, we've created a delicious treat you can enjoy without feeling guilty. Freshly-picked California almonds, gently roasted to enhance their natural flavor, are enrobed in rich chocolate to create this most popular confection. The fashionable, pillow top gift box adds an elegant touch to this gift containing twelve-ounces of one of nature's healthiest snacks.